(Facebook)George Beverly Shea had already gained a national following in the United States during the 1940s before he became the primary vocalist for evangelist Billy Graham. His fame grew as he traveled and performed with Graham all over the world during the next several decades. 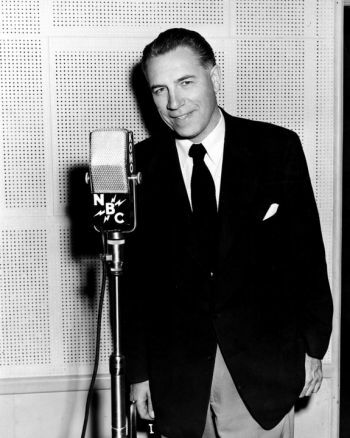 George Beverly Shea, arguably the 20th century's most renowned gospel singer and composer, has died at the age of 104. The announcement of his passing on Tuesday was made by the Billy Graham Evangelist Association (BGEA). Shea was the constant companion of evangelist Billy Graham for decades at his crusades. In a press release the 94-year old Graham said,"I first met Bev Shea in Chicago when he was on Moody Radio. As a young man starting my ministry, I asked Bev if he would join me." "He said 'yes' and for over 60 years we had the privilege of ministering together together across the country and around the world," said Graham. "Bev was one of the most humble, gracious men I have ever known and one of my closest friends." Shea's humility was noted in his obituary in The New York Times. It observed that Graham had long said that without Shea, he would have had no ministry. Yet, the singer told The Charlotte Observer in 2009,"The people didn't come to hear me." "They came to hear Billy", said Shea. "To get to hear him, they first had to listen to me." Shea did indeed come from humble roots. He was born in Ontario, Canada in 1909, the son of a church minister. As a young man he moved to New York to attend college. However, in order to support his family during the Great Depression Shea took a job as a clerk for an insurance company in Manhattan. He held that job for over a decade. In the meantime, he took voice lessons. Shea's voice was a rich baritone which was as much a part of Billy Graham's stadium crusades as the evangelist's preaching. After gaining some attention from his performance on the Fred Allen Show in an amateur singing contest, Shea began to gain some notoriety. Although he had offers to sing in the secular world, he was dedicated to sacred music and chose that as his career. When he was 23 Shea composed the music to one of his most beloved songs,"I'd Rather Have Jesus". "I'd rather have Jesus than men's applause. I'd rather be faithful to his dear cause. I'd rather have Jesus than worldwide fame. I'd rather be true to his holy name." Worldwide fame is what Shea gained, however. He sang in front of nearly 200 million people during his career. During Shea's early association with Graham, he was probably more well known than the man who would become one of history's great evangelists. He was already nationally known in sacred music circles when he teamed up with Graham. Shea received 10 Grammy nominations and won the award for an album in 1965. In 2011 he was awarded a Lifetime Achievement Award by the Grammy Association, according to CBS News. Shea is also a member of the Gospel Music Association Hall of Fame and the Religious Broadcaster's Hall of Fame. Perhaps the best known of his songs is his song "How Great Thou Art."